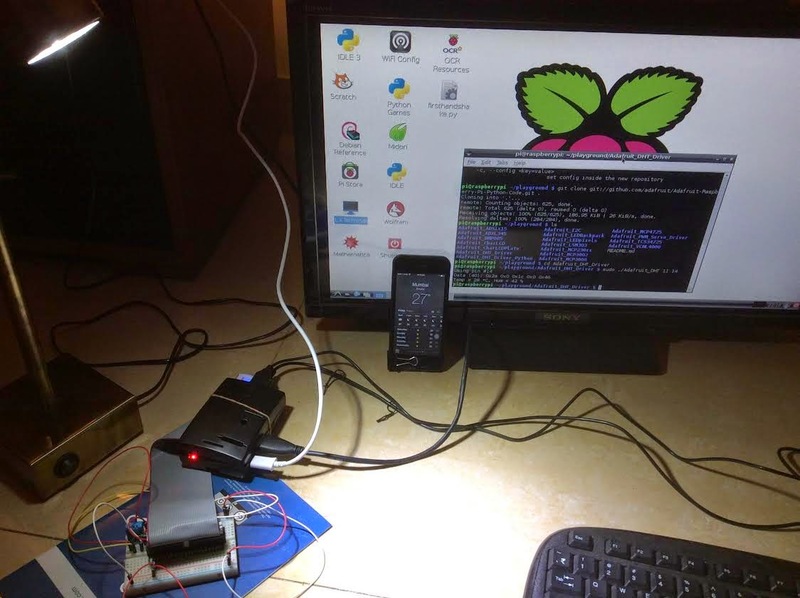 This post is a 101 Introduction to Raspberry Pi. I will show you how to use a Raspberry Pi to create an Apple TV, Chromecast equivalent, and also read and push your home temperature to a server. It is the best time to be a geek! There is 3G everywhere and 8MB Bandwidth at home and office. Geeks everywhere carry a super computer in their pocket now! TBs of storage are now available for a dime. Everything is backed up realtime to the cloud. Even if you lose your device or hard drive crashes, it can all be downloaded back. Maps and GPS Accuracy is spot on. The stuff geeks have now makes James Bond look like a kid showing off in a School Science project. And we need not deal with Windows or IE anymore. It is either Android or iOS or Ubuntu or OS X. And then comes this Raspberry Pi to the party - from the open source hardware movement - a cute little computer - the size of a palm - which costs just Rs. 2,500 and can do a hell lot of things.